best shot i could get of this guy. 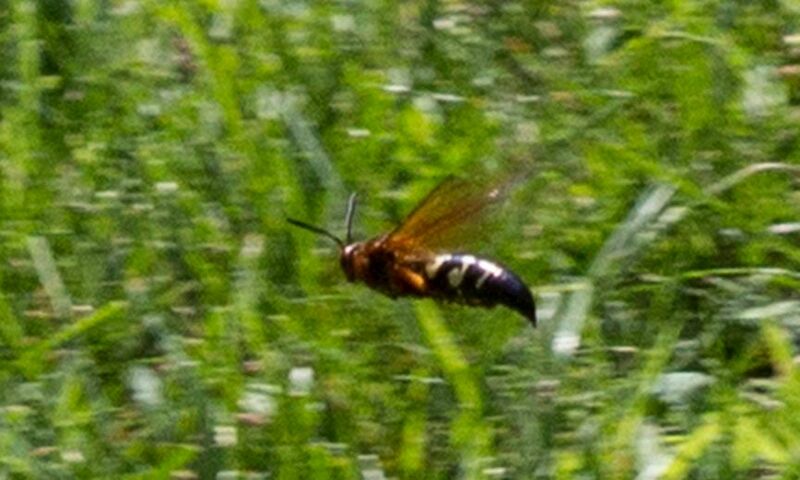 what is this type of bee? Possibly a Cicada Killer ? Yep, Killer Cicada Wasps. These guys have made their way into Chicago and even though they look scary as all hell, I guess they aren't interested in harming us - as you mention.